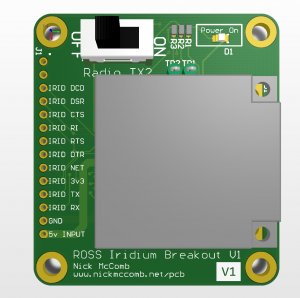 This is a very simple PCB that breaks out the small connections on an Iridium 9603N Modem to allow for changing configuration settings and debugging. Ensure you always have an antenna plugged into the modem! It was originally designed to interface with this SparkFun USB UART Breakout [link] and was designed in roughly an hour. 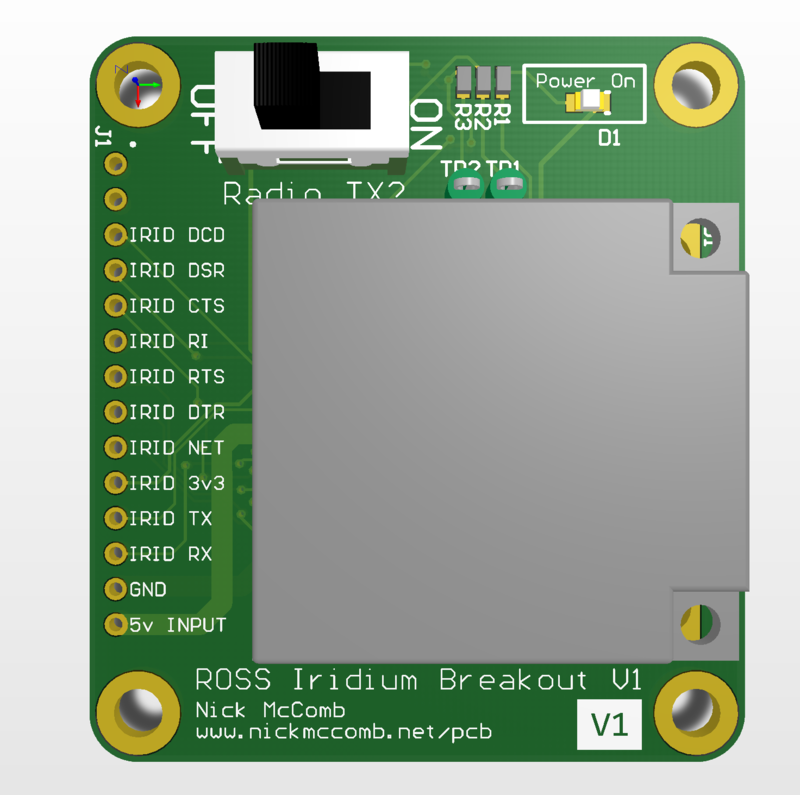 Be aware of the power requirements of the Iridium Modem, particularly the voltage and inrush current limiting requirements.